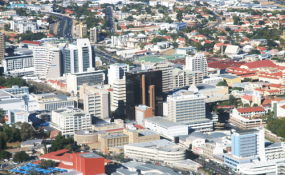 View of the Namibia capital city, Windhoek. The City of Windhoek and Wingoc will be celebrate their 50th anniversary of Direct Reuse in Namibia, from 18 to 19 October, under the theme 'Direct Potable Reclamation With A Clean Bill' at the City of Windhoek Head Office. "50 years later, Windhoek is regarded as one of the worlds leaders in Direct Potable Reclamation, (DRP) and remains one of the only places in the world where this is practiced on a significant scale and continuous basis to supply the residents of the city with drinking water," the City added. The city fathers also explained that the event will offer a review of the development of Direct Potable Reclamation over this 50 years' period successes and challenges along the way and a special session will also focus on the current development and future.